Red Dragon Hydraulics can take care of all your welding needs, whether you need MIG, Stick or TIG welding. This gives us the fabrication capabilities you need for your repairs or project. Our onsite welding bay means that we never need to outsource your project. By allowing us full control of the fabrication process we can ensure the quality of our products every time. Whatever your project or equipment we guarantee that it will be disassembled and reassembled to your specifications every time. From foundation to total assembly we are able to manage all aspects of the material handling process. 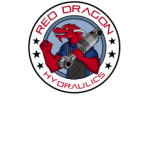 Your equipment will always be in trusted hands at Red Dragon Hydraulics. © 2019. 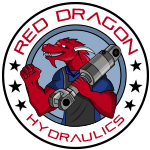 «Red Dragon Hydraulics Ltd.». All rights reserved.